A murine monoclonal antibody to an epitope in the Bb fragment of Factor B. This monoclonal antibody was raised against purified human Factor B. It is specific for an antigen expressed on the Bb domain of Factor B. It is reactive to the Bb fragment of Factor B, but not to Factor B itself. This antibody inhibits the function of Factor B in vitro. 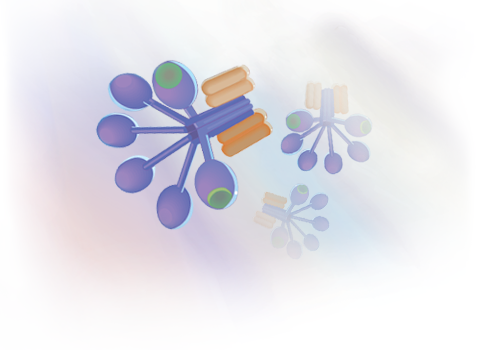 Quidel's Factor B (Bb) neo monoclonal antibody has been used in a variety of experimental techniques including EIA and Immunohistochemistry. Please contact Quidel Technical Support for details on these or other applications. Hourcade, D., et al. A conserved element in the serine protease domain of complement Factor B, J Bio Chem 273:25996-26000, 1998.